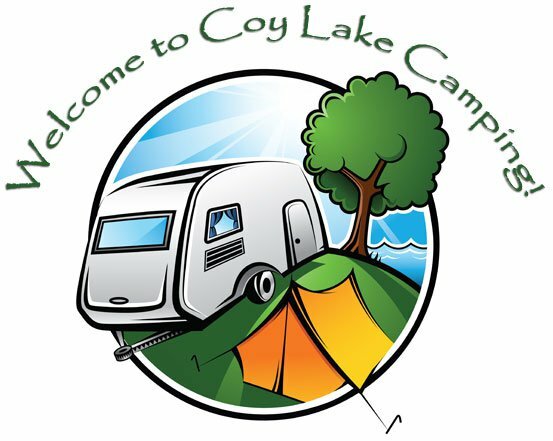 Welcome to the Coy Lake Camping official website. We are Officially CLOSED for the season as of October 12th, but we are now about a month away from opening day, May 17th! We are looking looking forward to seeing you all again this season! 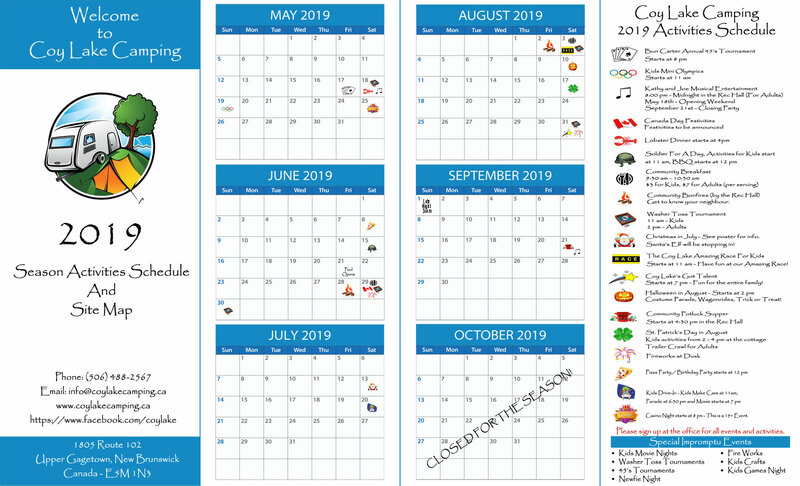 For an idea of what to expect at Coy Lake, have a look the 2019 schedule below. 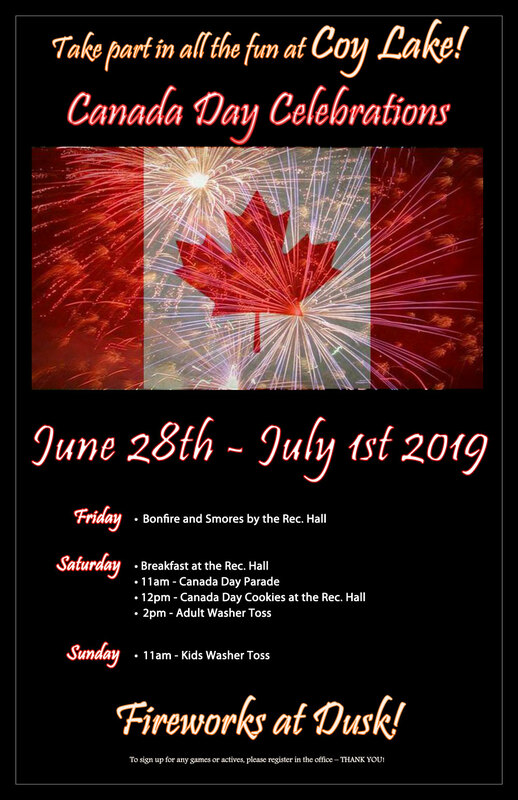 Events will include our always exciting Washer Toss Tournament, as well as the The Bun Carter Memorial 45's Tournament, Christmas in July and Community Bon-fires. So come on out to the lake in 2019! We'll be waiting for you. If you would like to speak with someone about booking a site, the Gagetown area, local fishing etc., please see our contact page. 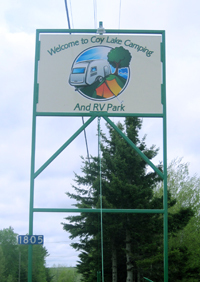 If you are looking for a clean, quiet, family-oriented campground to relax and to make your home base for when you want to explore all what New Brunswick has to offer, look no further; Coy Lake Camping is the place for you! We hope to see you the lake! Take exit 330 off of the Trans Canada Highway (Highway #2) and follow directions to the Village of Gagetown (approximately 2 km from the exit). Please see our Contact Us page for a Google Maps view of our location and to find directions. Campground Rules: Please review our Rules And Regulations. Copyright © 2019 Coy Lake Camping. All Rights Reserved.